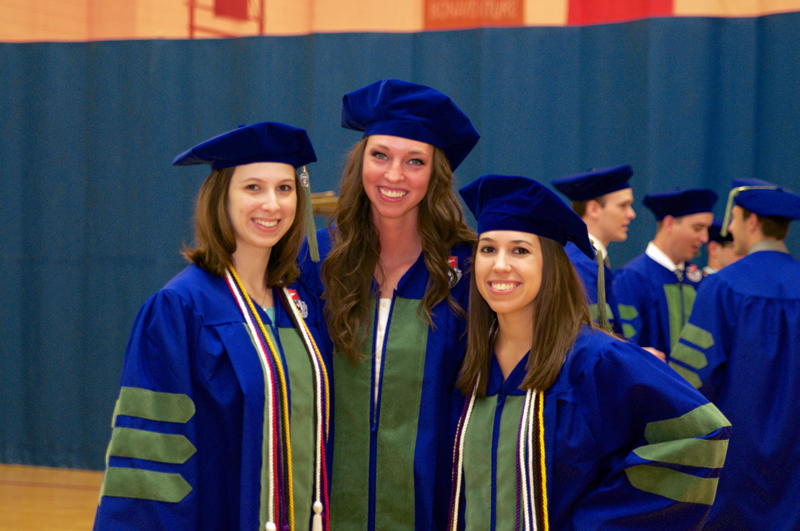 Duquesne University Mylan School of Pharmacy held their Annual Spring Commencement on May 18, 2013 in the AJ Palumbo Center. 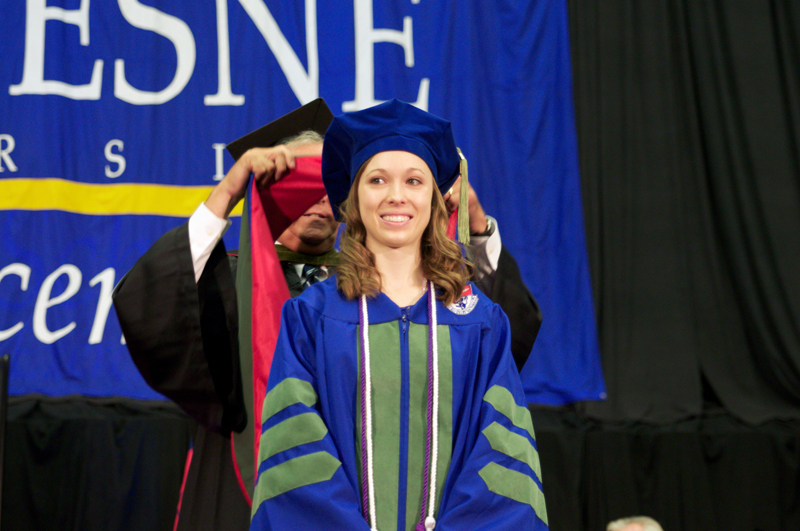 Graduating from the Mylan School of Pharmacy, 160 students earned the Doctor of Pharmacy degree, two students earned Bachelors of Science degrees in Health Care Supply Chain Management, and six students from the Graduate School of Pharmaceutical Sciences earned M.S. or Ph.D. degrees. Dean J. Douglas Bricker, the seventh dean of the School in his opening remarks stated, "The School of Pharmacy celebrates its 87th year of educating the best-prepared pharmacists in the country. 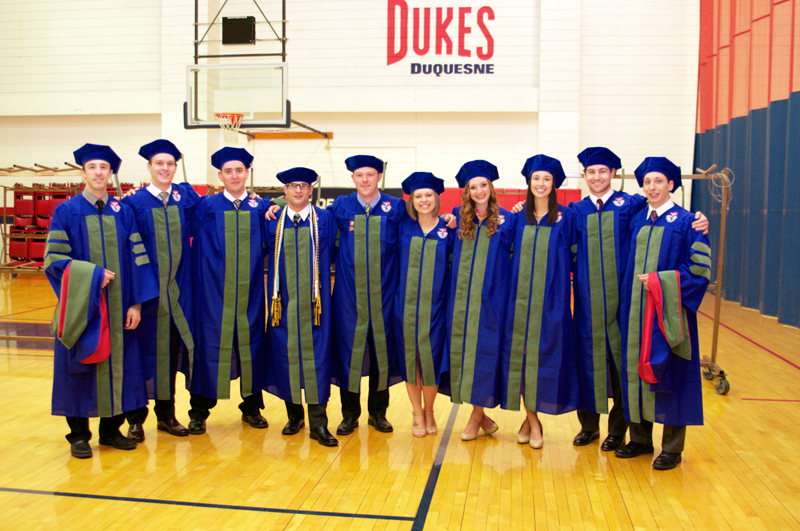 These women and men will join over 5,800 pharmacists who have graduated and are proud to call Duquesne University - their University." 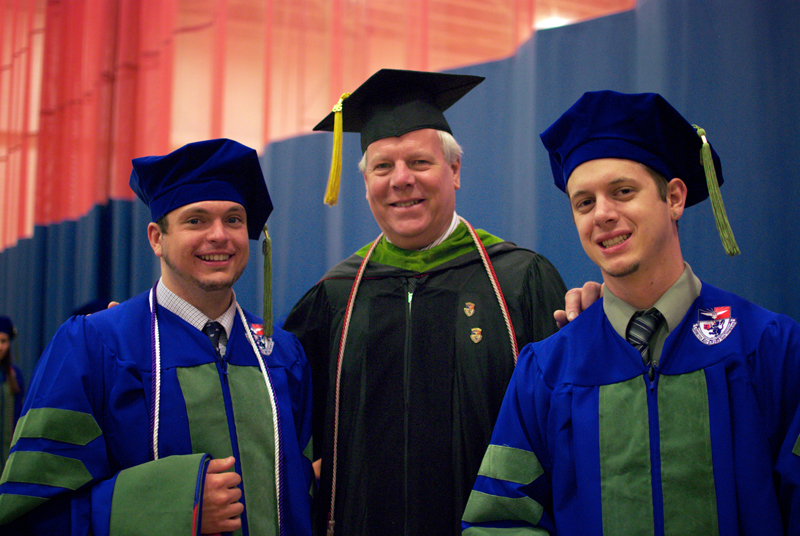 This year's Commencement speaker was Robert Wanovich, Vice President of Market Strategy and Delivery for Highmark Inc. In this position, Dr. Wanovich has responsibility for integrating provider and clinical strategies for implementation within Highmark's core markets. Additional responsibilities include provider contract development, network management, & strategic sourcing. Previous positions include Manager, Director, and Vice-President of Pharmacy Affairs at Highmark, Clinical Pharmacist at Intell•Rx, a drug utilization review company, and Clinical Pharmacy Specialist in Internal Medicine at the University of Pittsburgh Medical Center. 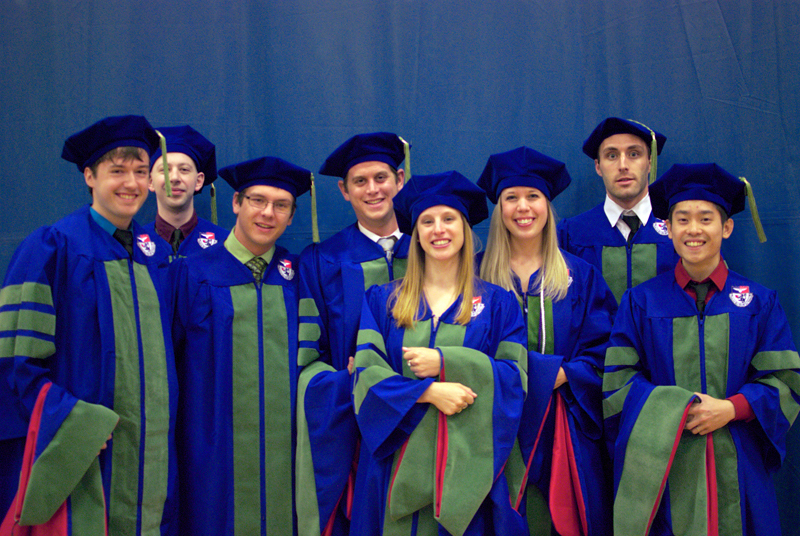 Dr. Wanovich received his Bachelor of Science in Pharmacy and Doctor of Pharmacy degrees from Duquesne University. He completed a Clinical Pharmacy Residency at The Mercy Hospital of Pittsburgh and is a member of the American Pharmaceutical Association and the Academy of Managed Care Pharmacy. 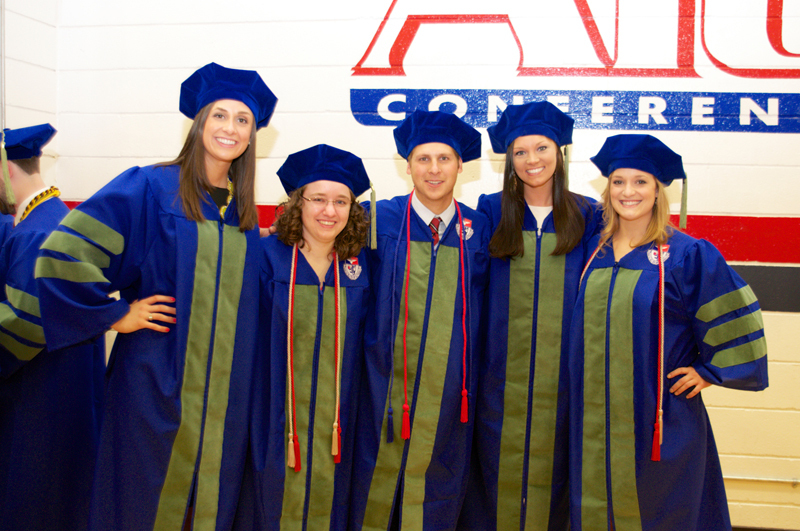 The day's events began with a Baccalaureate Mass in the Chapel concelebrated by Fr. French, Fr. Hogan, and Fr. McCool. In his homily, Fr. French identified pharmacists as healers and asked them to embrace concept of chronic compassion for their patients. Each graduate's hands were anointed with sacred oils. The Mass is a special beginning to the day-long celebration. 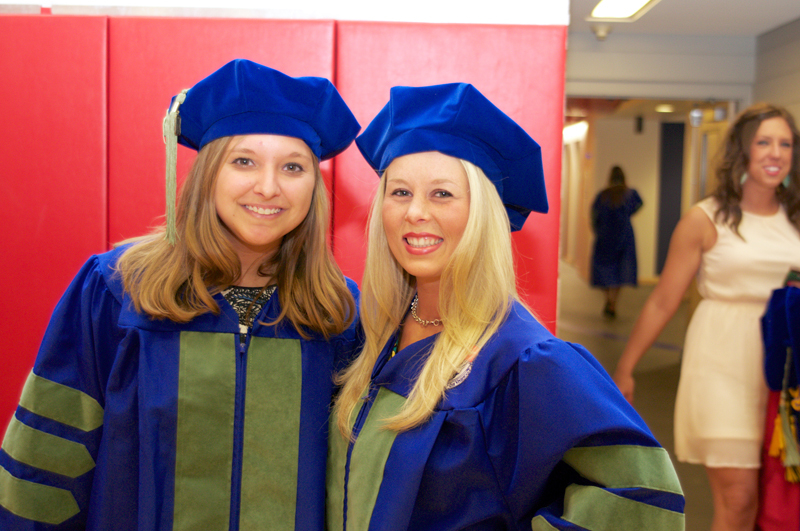 A continental breakfast followed in the Power Center prior to the Commencement ceremony. Following the Commencement ceremony, the Mylan School of Pharmacy hosted a gathering for the graduates and their families on the Mellon patio.